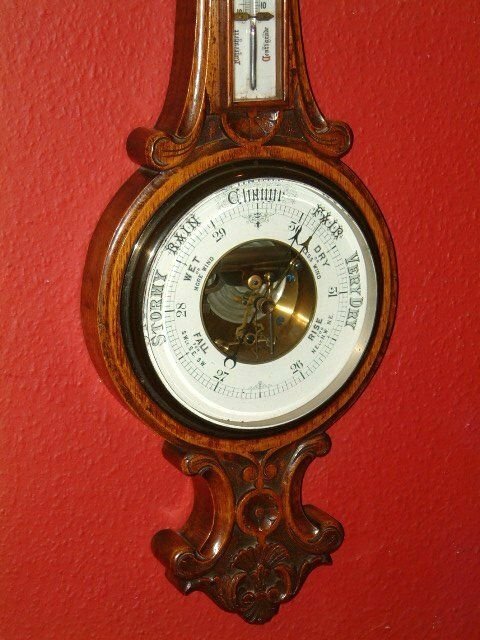 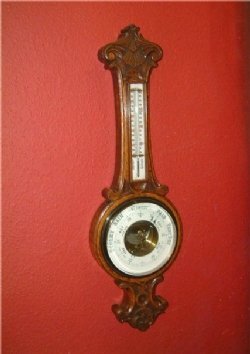 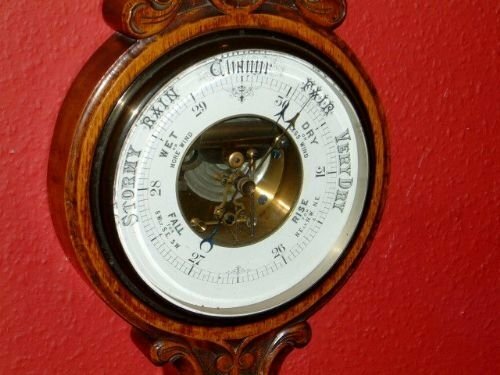 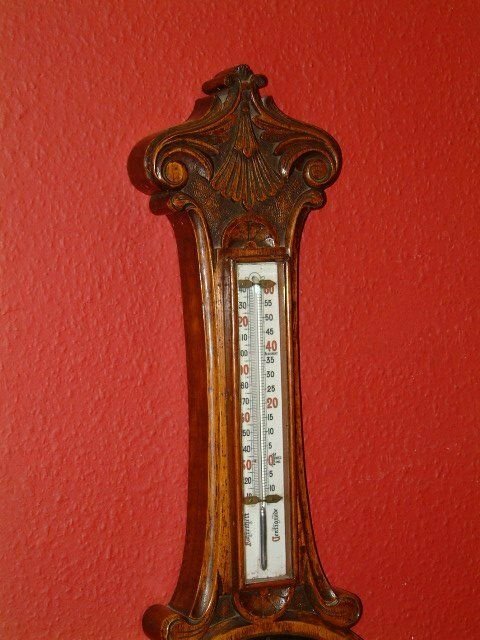 Edwardian Oak Cased Barometer with Nicely Carved Details. 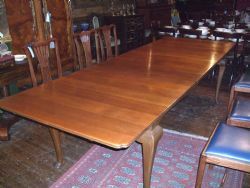 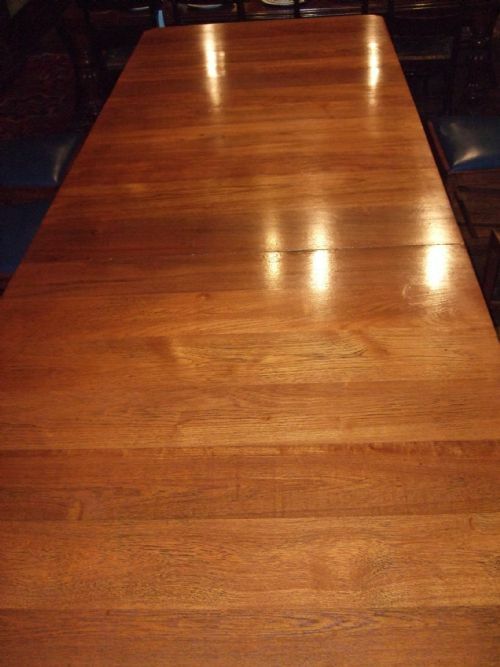 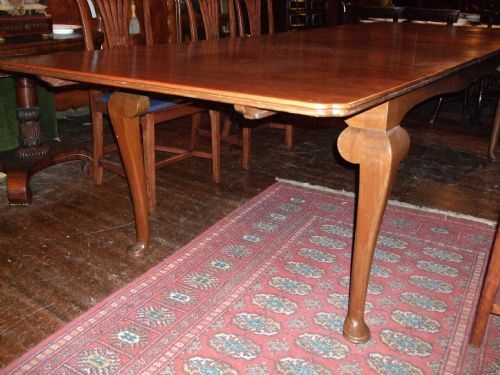 Edwardian Oak Extending Dining Table with 1 Leaf Supported on Cabriol Legs.LOvely Colour & Figuring. 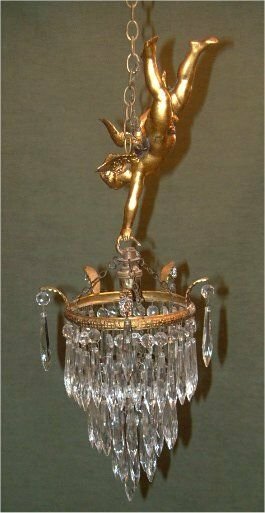 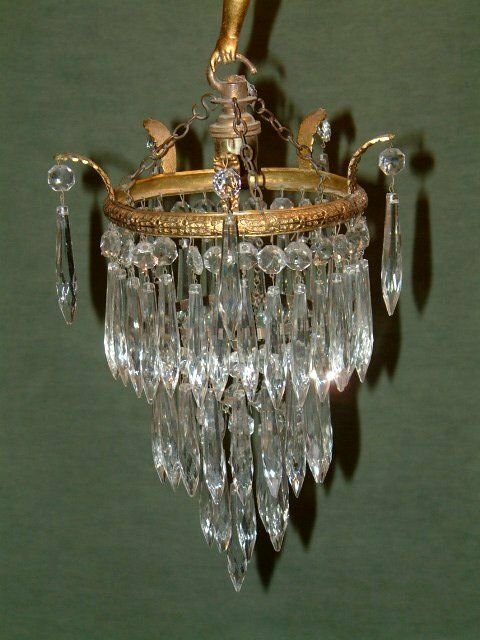 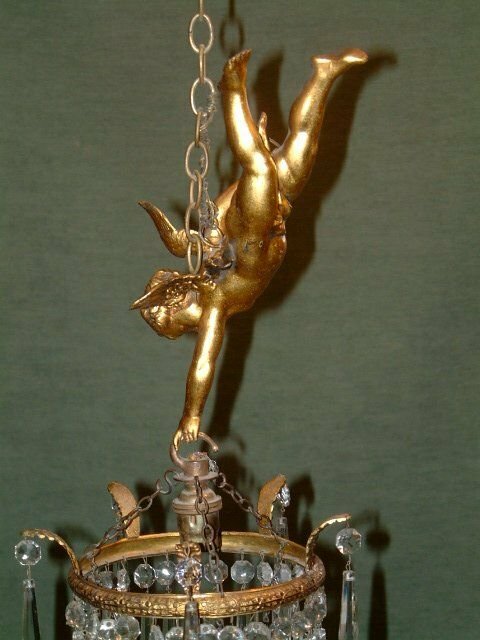 Edwardian Ormolu Cherub & Cut Glass Chandelier. 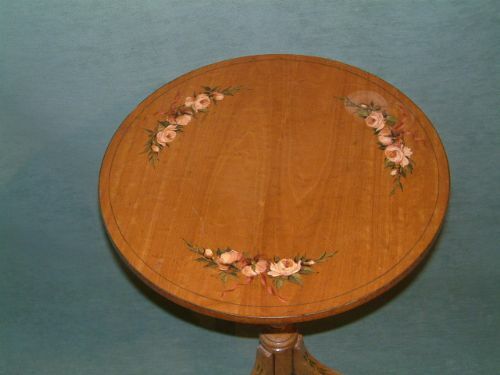 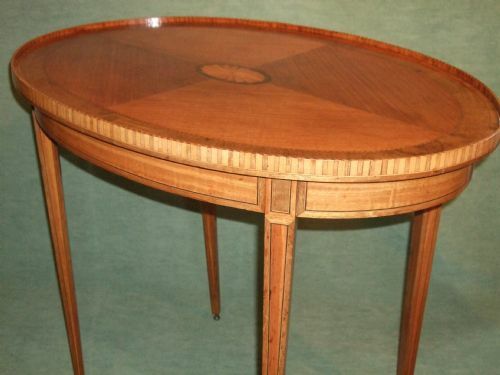 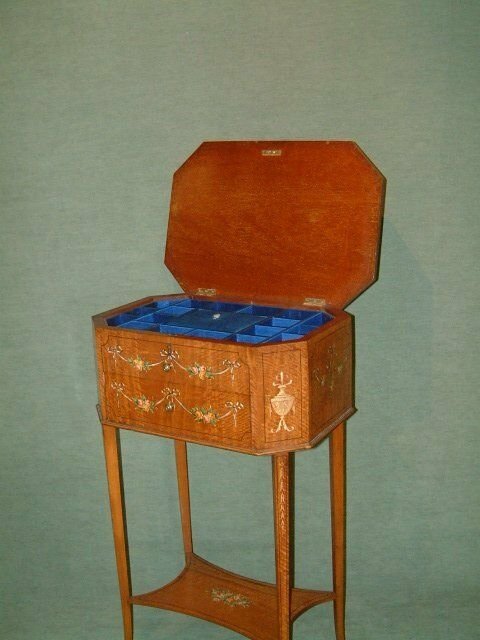 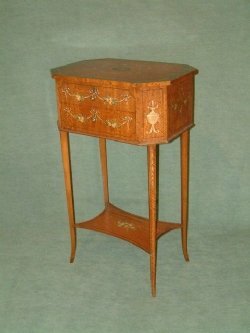 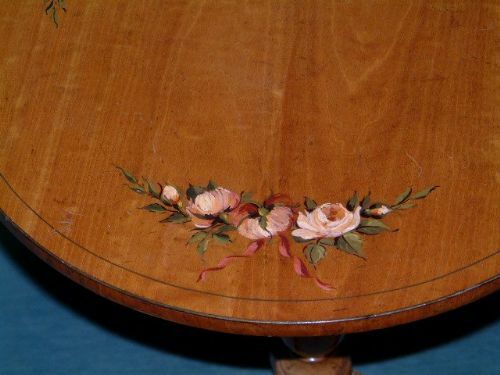 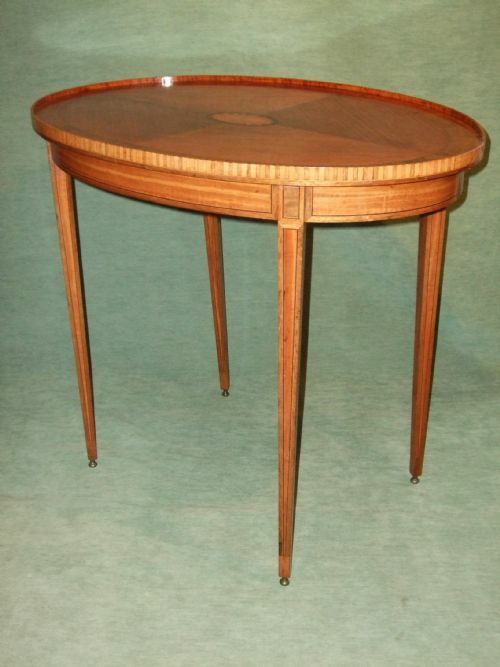 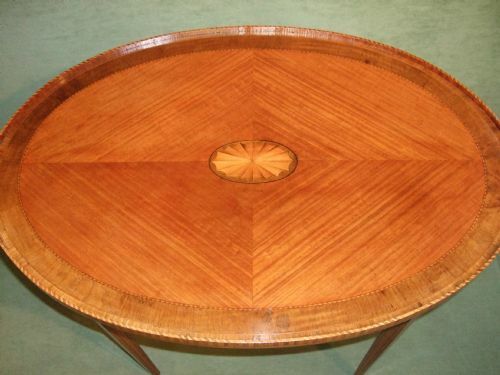 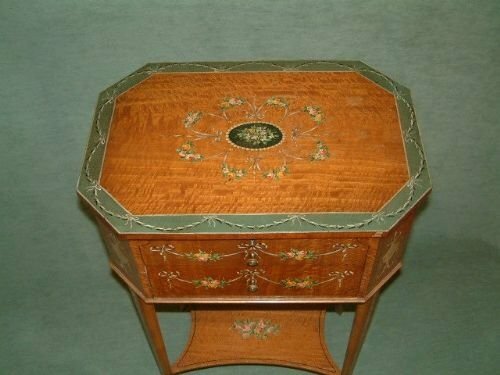 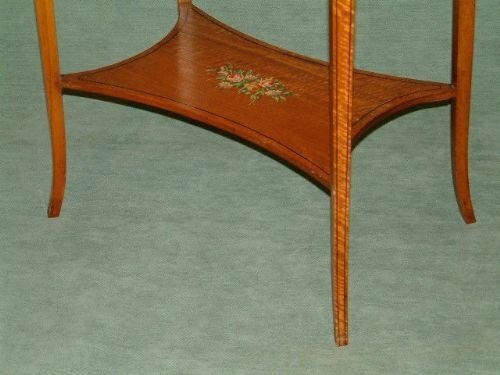 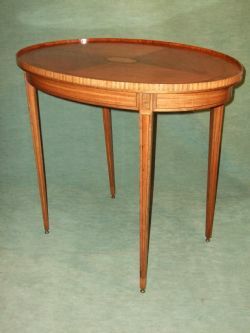 Edwardian Oval Satinwood & Inlaid Occasional Table. 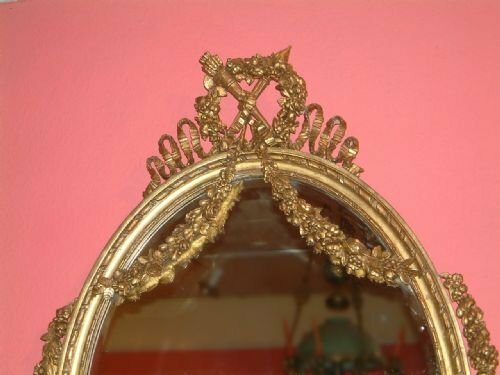 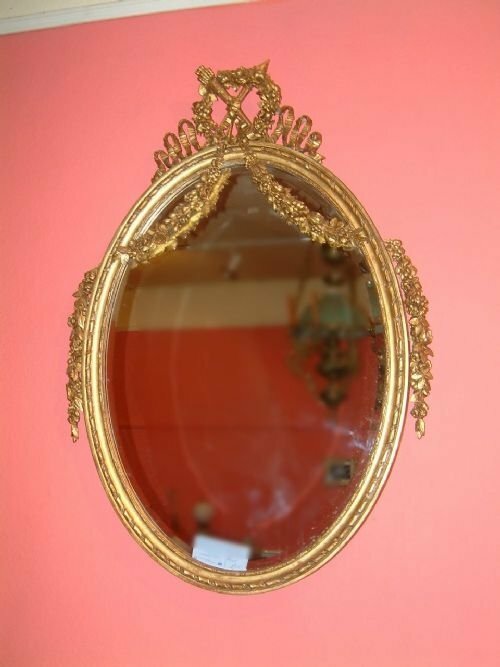 Edwardian Oval Wall Mirror with Gesso Decoration, the Bevelled Mirror Plate Surrounded by Garland Swags & Ribbon Decoration Etc. 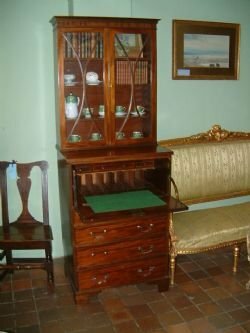 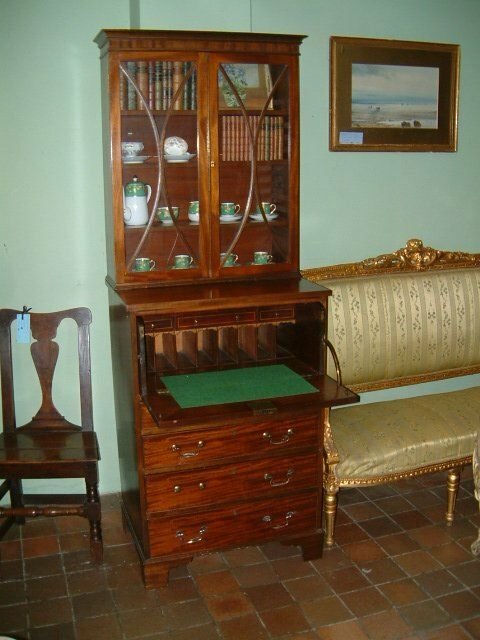 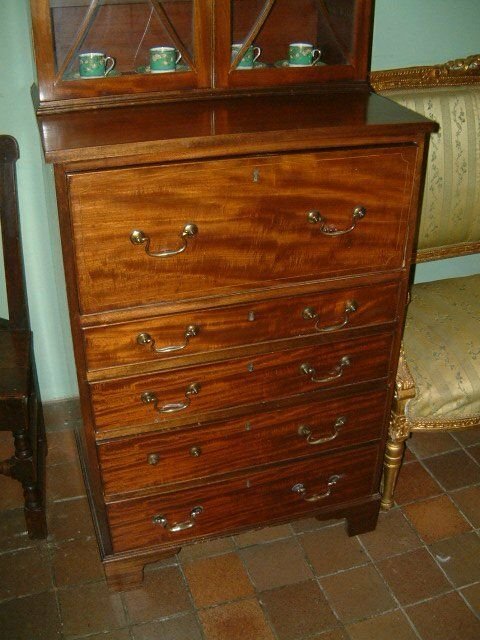 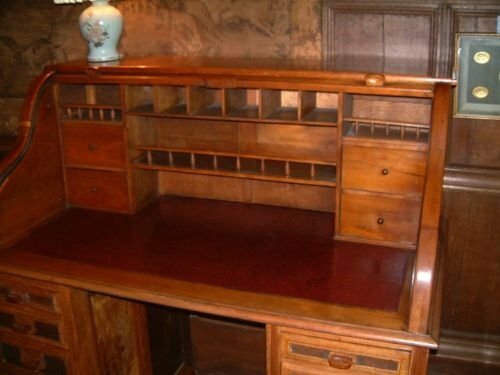 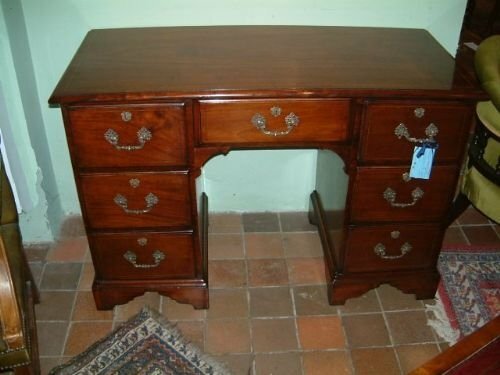 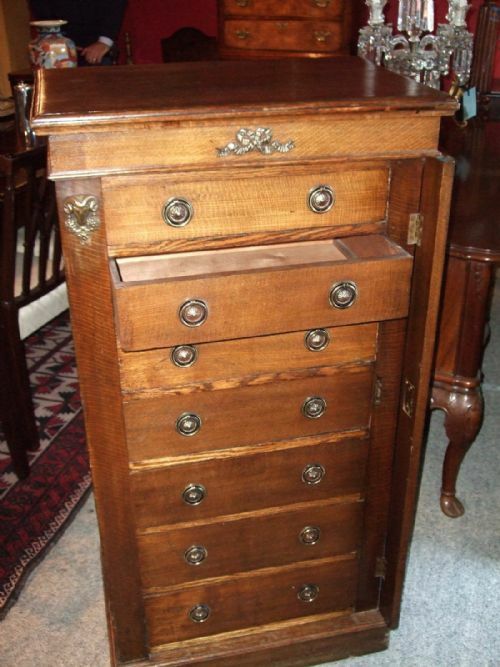 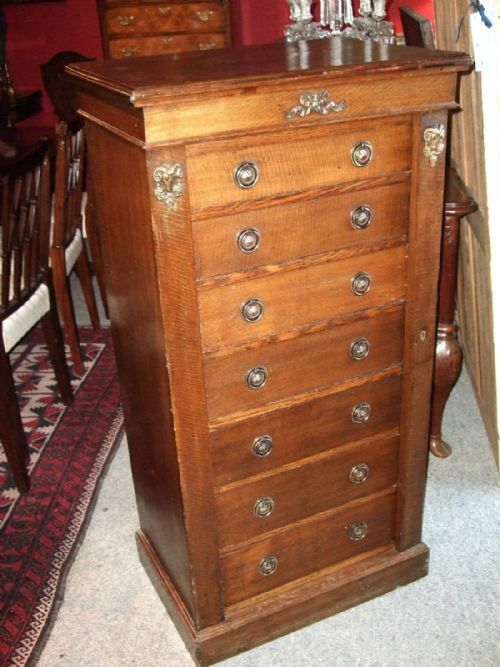 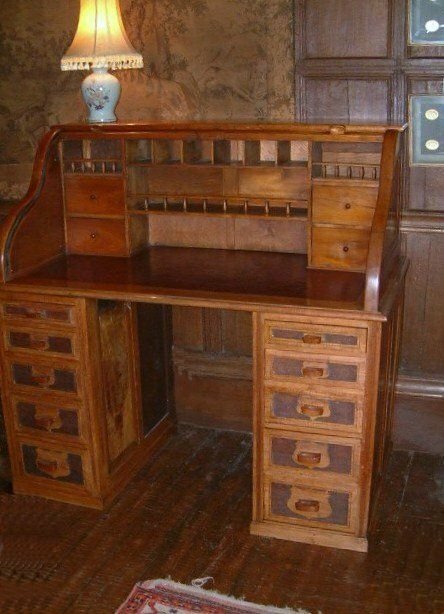 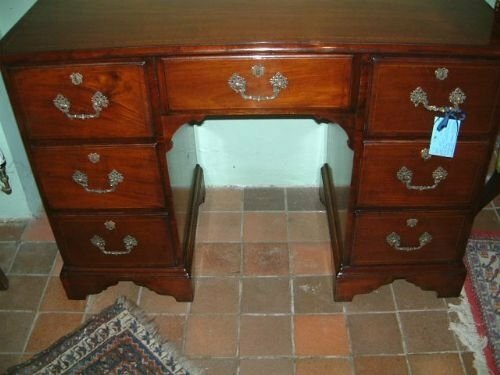 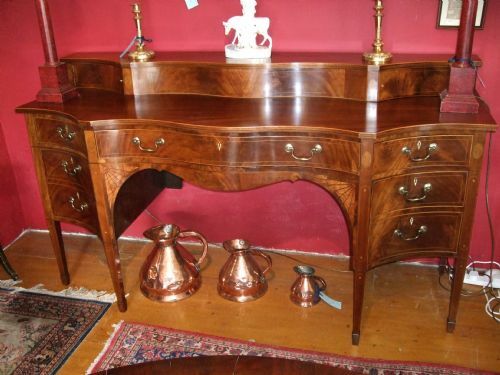 Edwardian Roll Top Desk in Walnut nice colour large writing area, supported on Twin pedestals with Drawers. 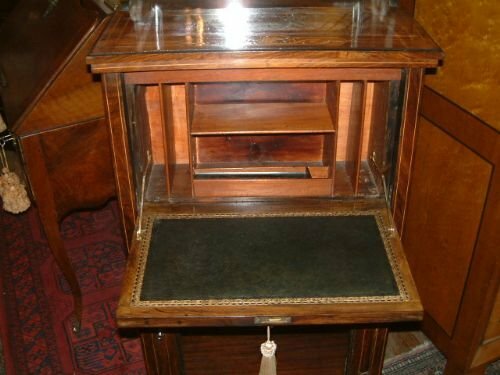 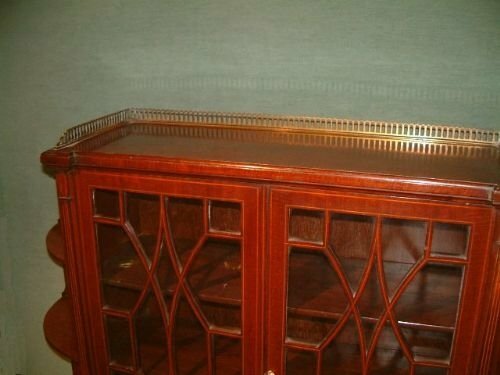 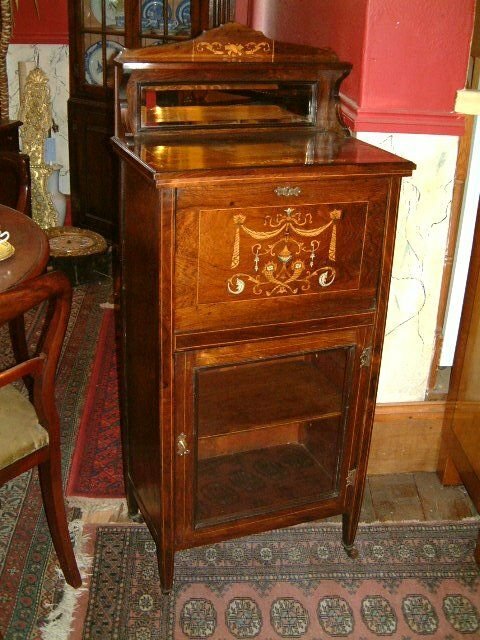 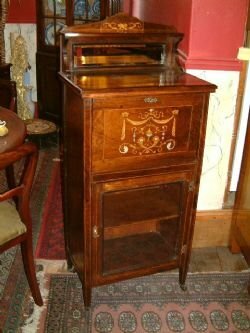 Edwardian Rosewood & Inlaid Secretaire Cabinet the Mirrored Top above a Superbly Inlaid Fall Front Writing Slope Revealling a Fitted Interior with Glazed Cupboard Below. 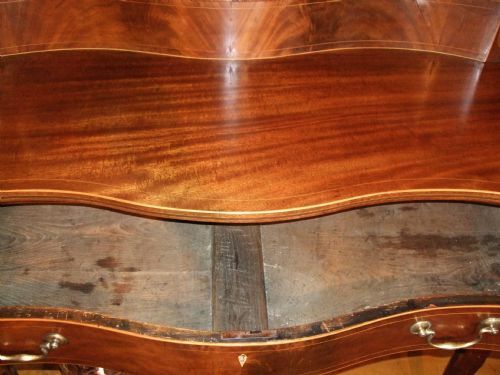 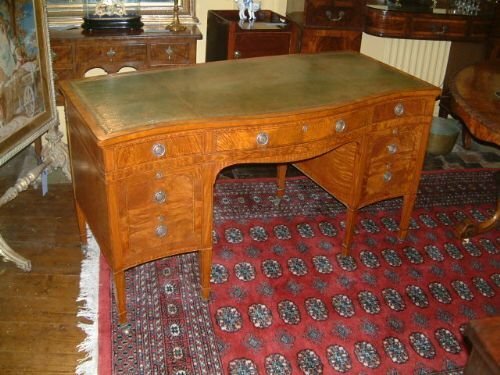 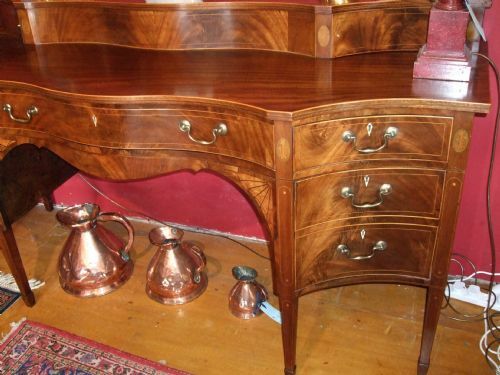 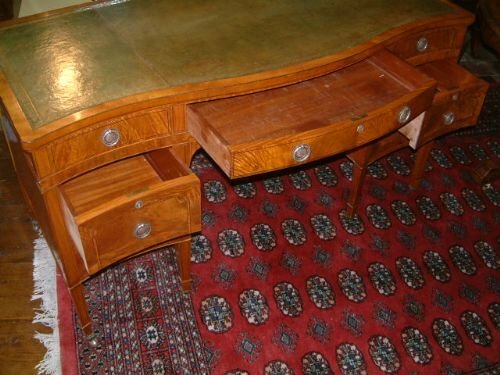 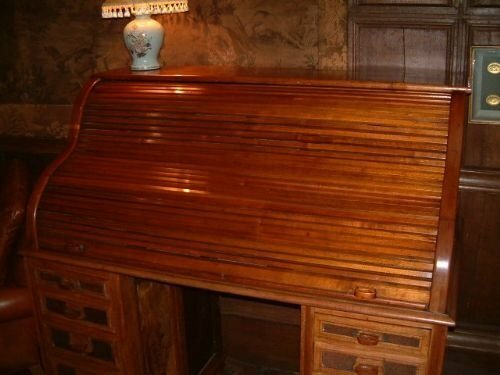 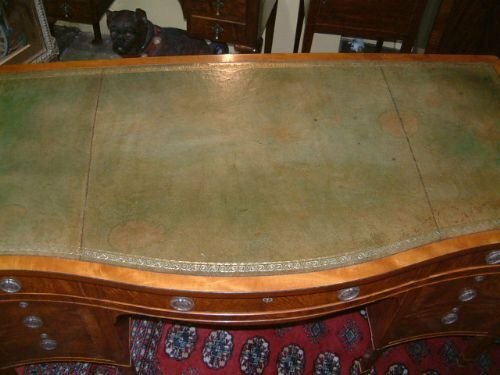 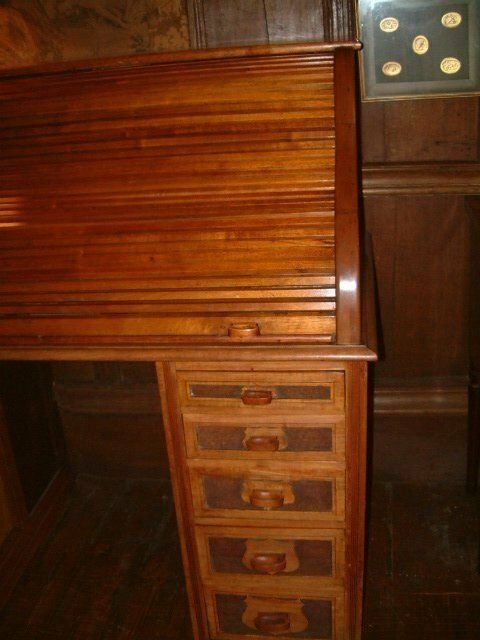 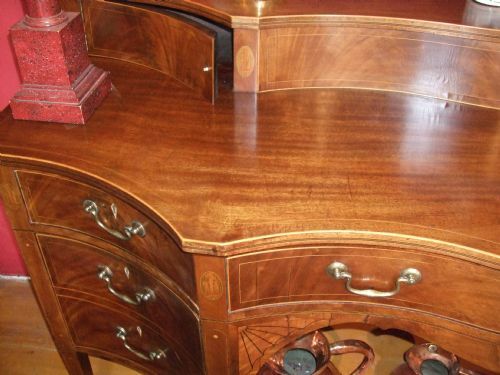 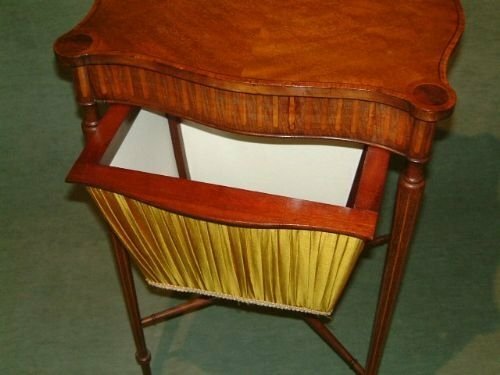 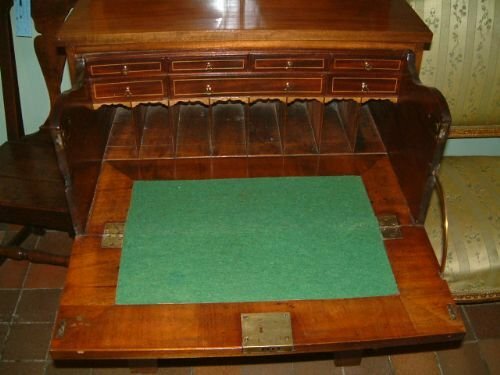 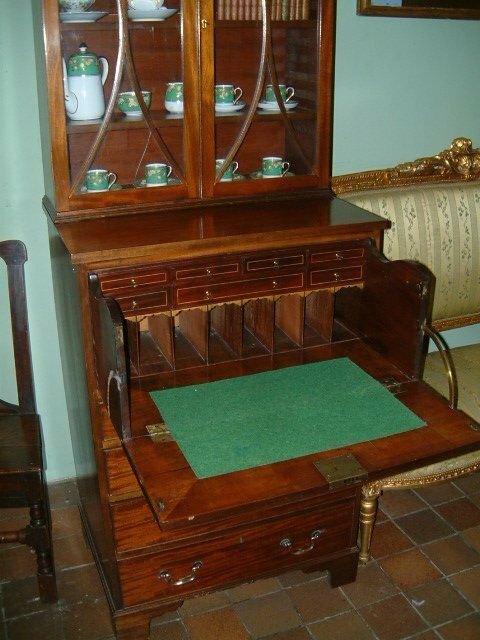 Edwardian Satinwood Desk by Hewetson Milner & Thexton, Tottenham Court Road London.With Green Tooled Leather Top. 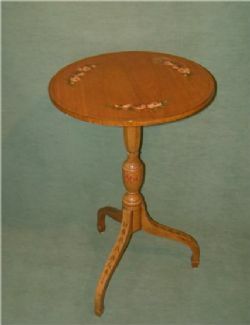 Edwardian Satinwood Pedestal Table with Excellent Painted Decoration of Swags Ribbons & Flowers. 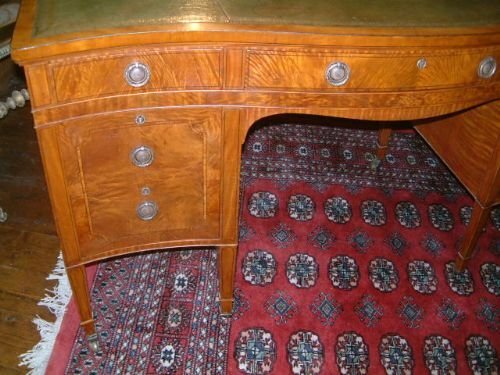 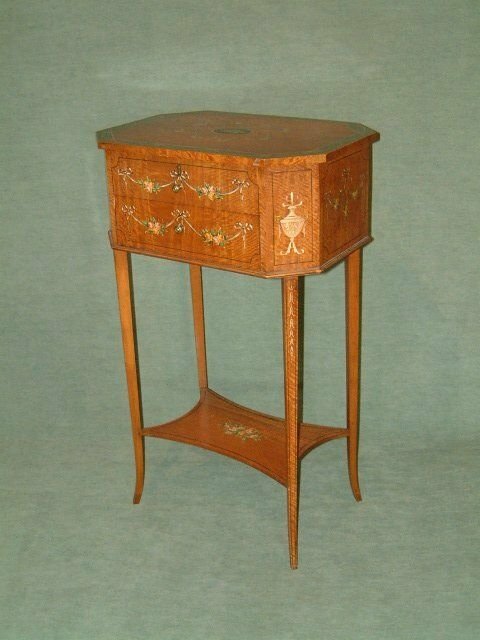 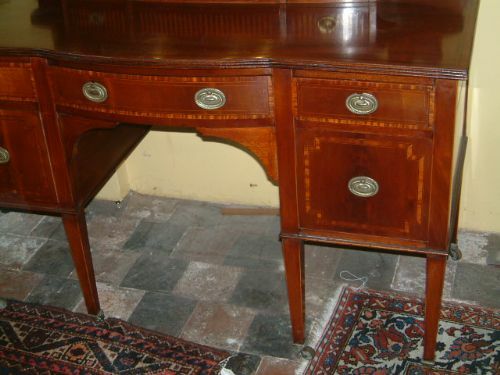 Edwardian Satinwood Work Table with Painted Decoration. 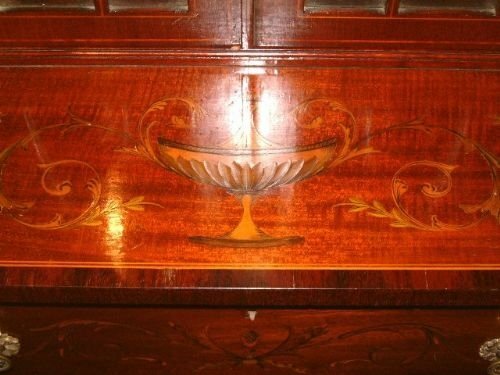 Superb Quality Painted Decoration. 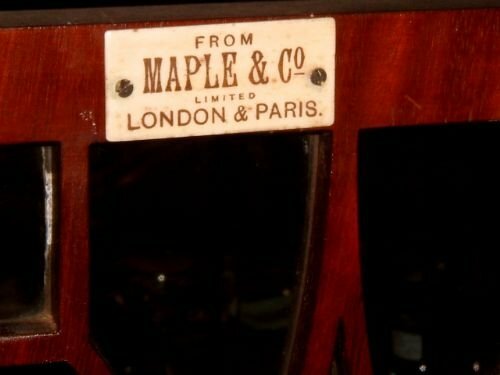 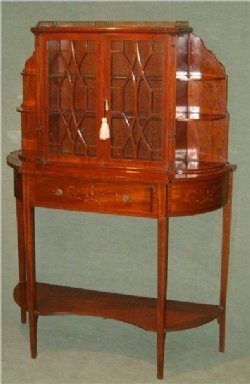 Edwardian Sheraton Revival Inlaid Mahogany Display Cabinet Maple & Co.
Edwardian Sheraton Revival Inlaid Mahogany Display Cabinet Excellent Inlay of Swags and Classical Urns, With Maple & Co Label. 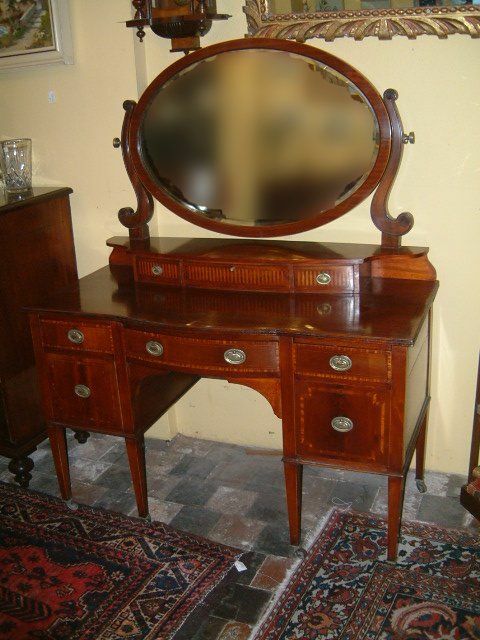 Edwardian Sheraton Revival Mahogany & Inlaid Dressing Table By Maple & Co.
Edwardian Sheraton Revival Mahogany & Inlaid Sideboard. 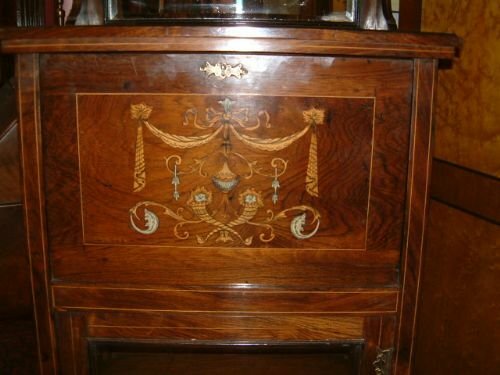 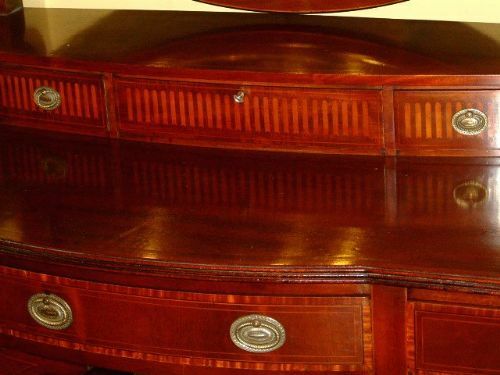 Edwardian Sheraton Revival Mahogany & Inlaid Sideboard.Excellent Quality Good Choice of Veneers & Inlays. 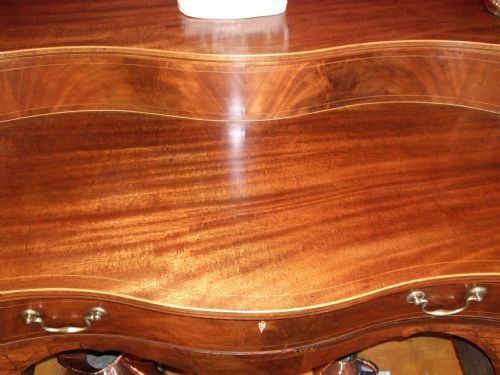 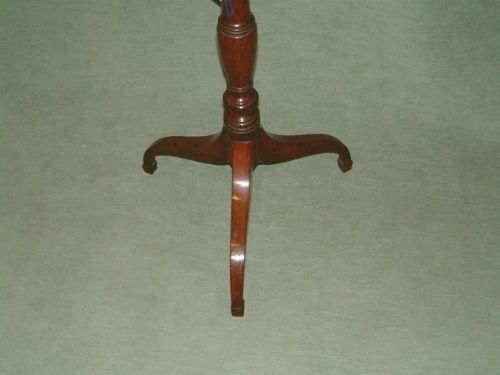 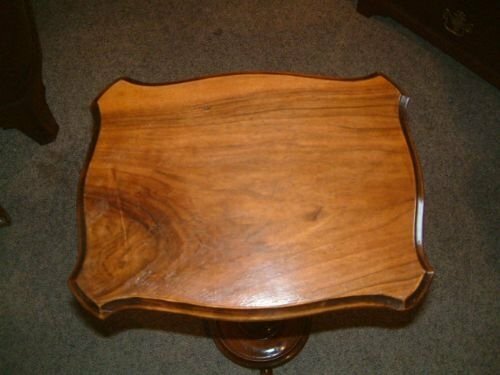 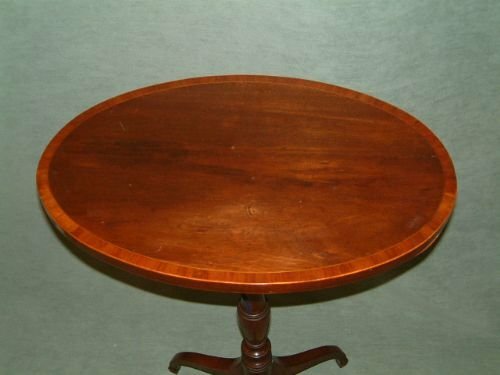 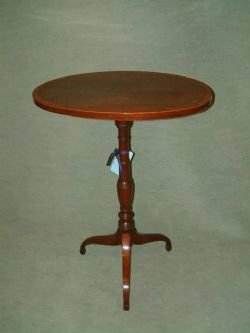 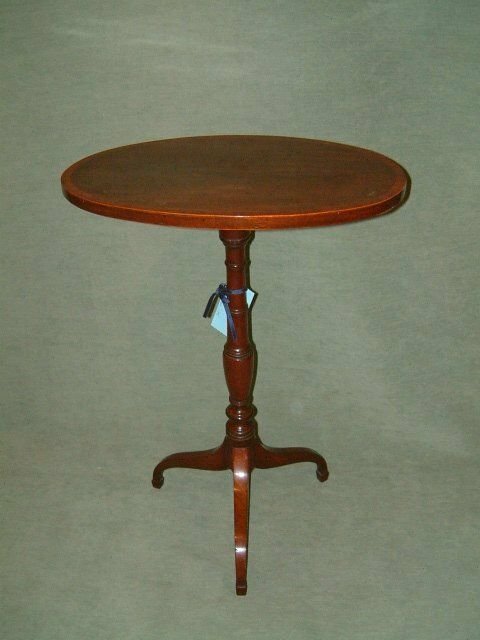 Edwardian Sheraton Revival Mahogany & Inlaid Wine Table. 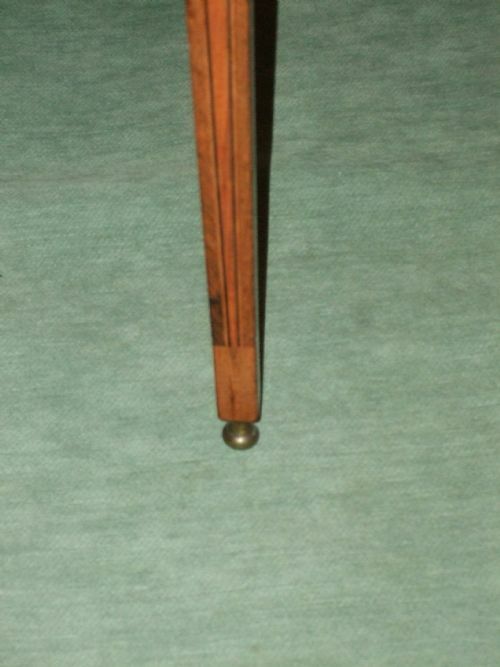 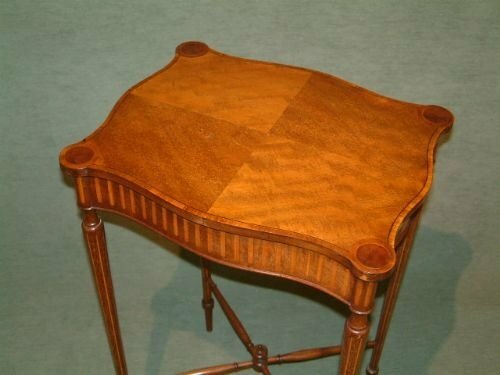 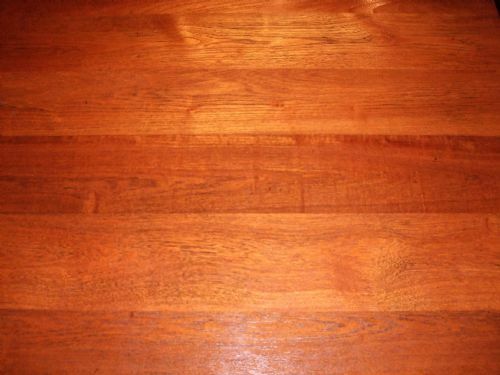 Edwardian Sheraton Revival Mahogany & Satinwood Table the Quarter Veneered Crossbanded Top Supported on Tapering Legs with Cross Stretchers, now with Later Work Box. 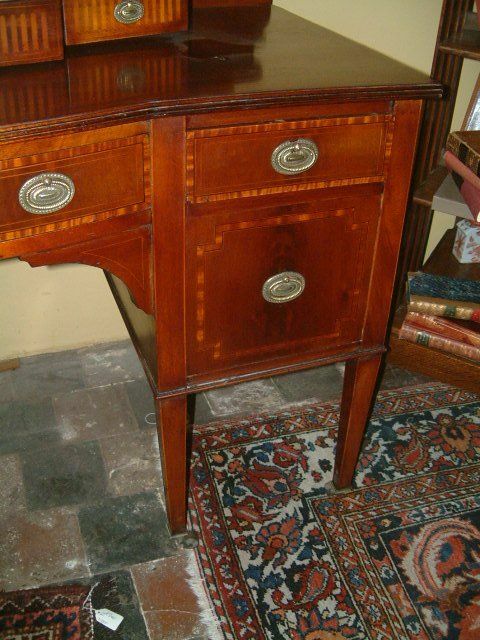 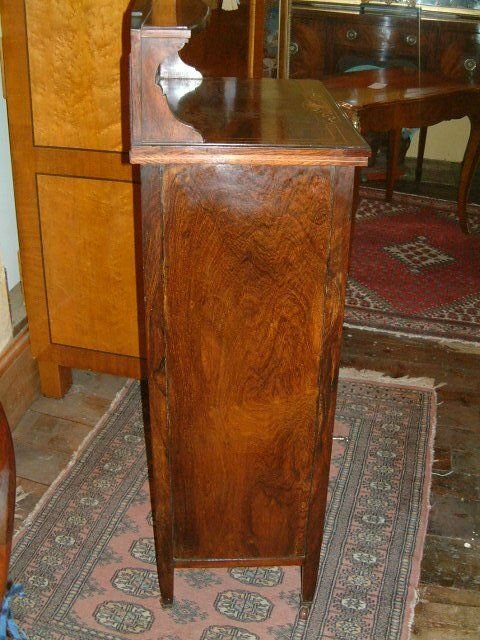 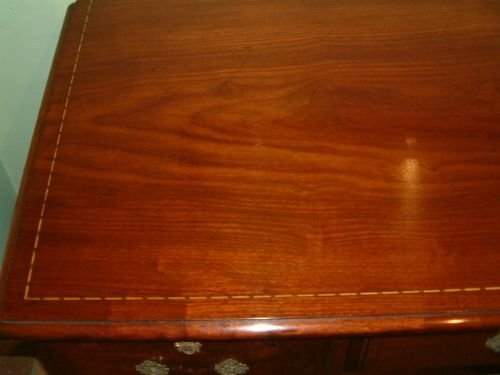 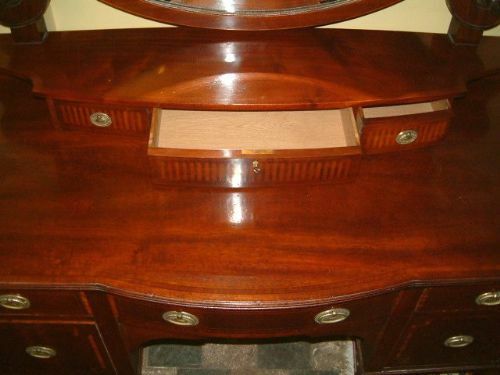 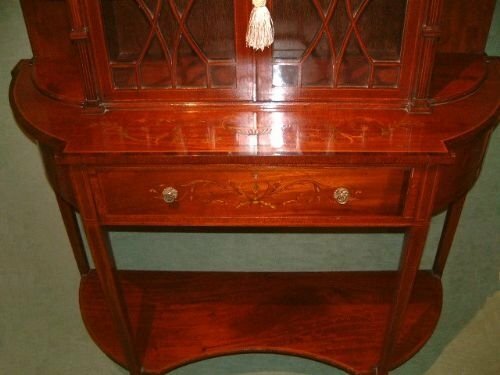 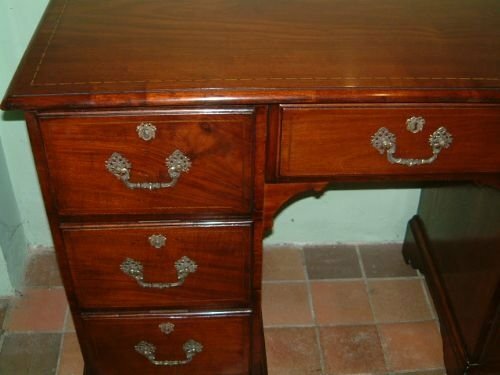 Edwardian Sheraton Revival Mahogany Pedestal Writing Desk Excellent Colour & Proportions with Inlay to the Top. 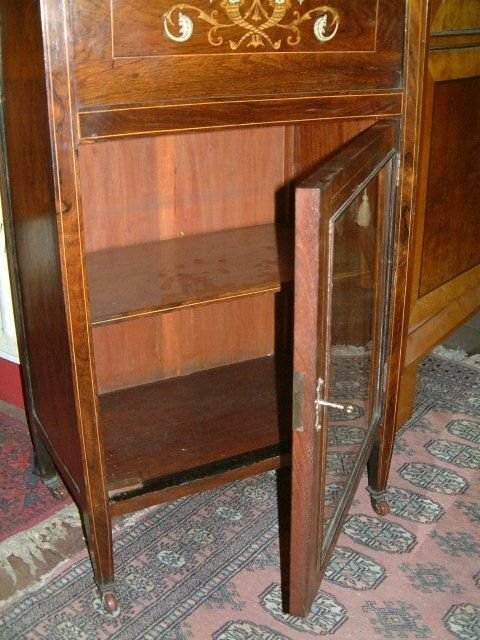 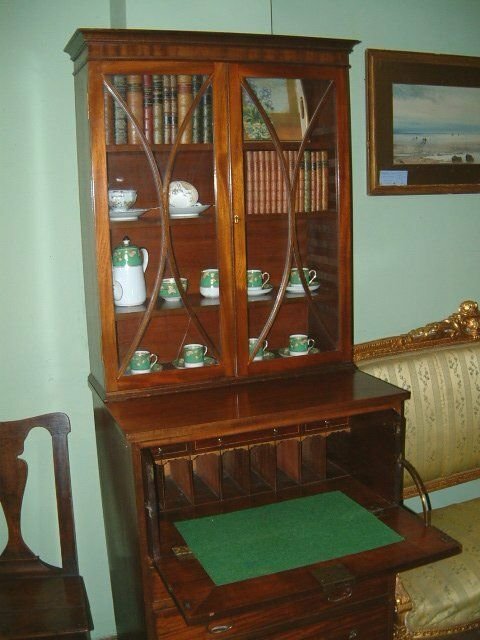 Edwardian Sheraton Revival Mahogany Secretaire Bookcase, Very Nice Proportions & Colour. 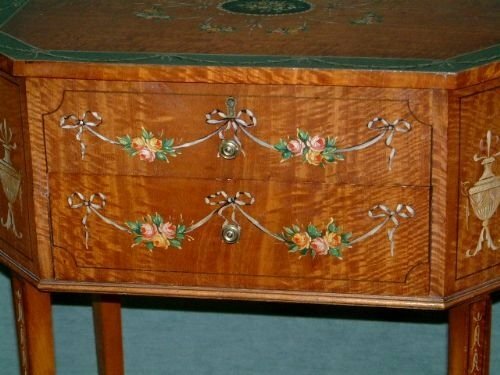 and Inlay to Secretaire Pigeon Holes & Drawers. 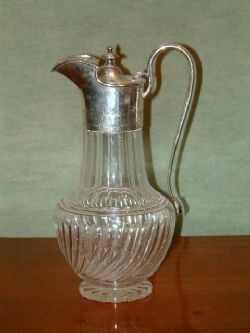 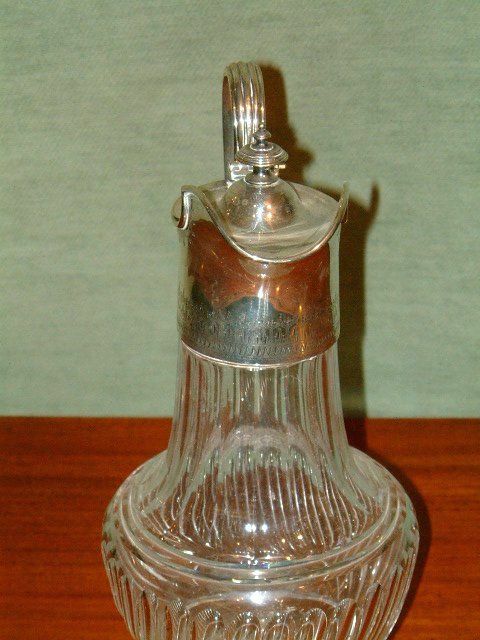 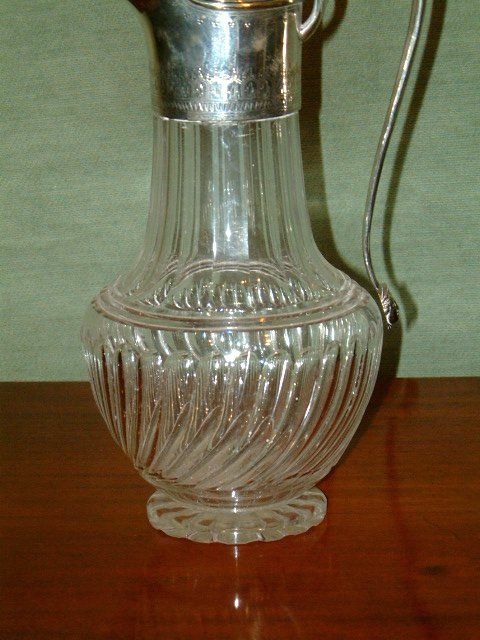 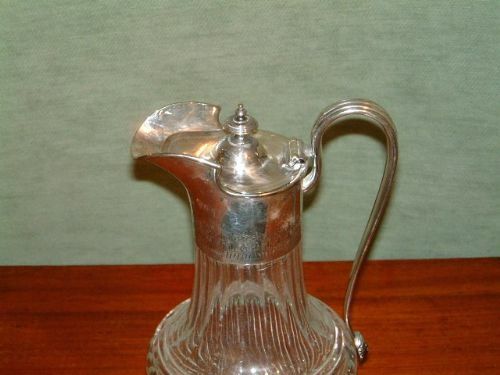 Edwardian Silver Plated Cut Glass Claret Jug. 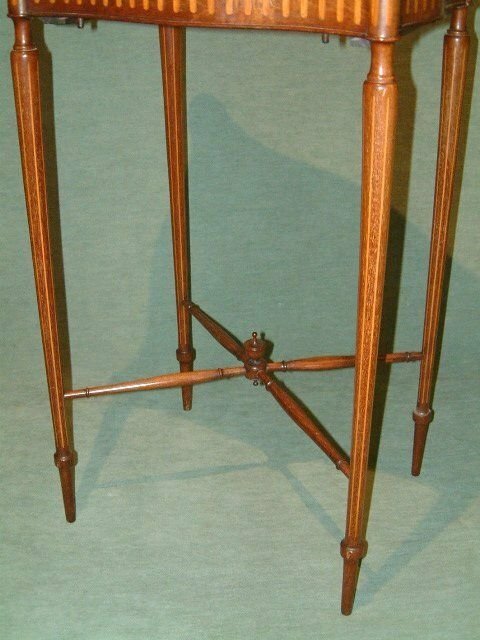 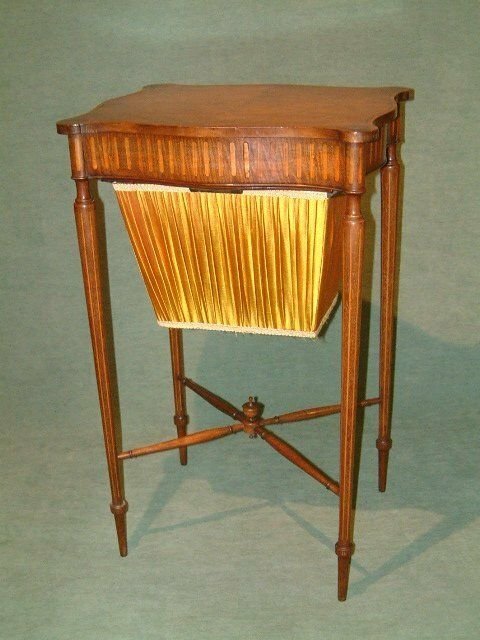 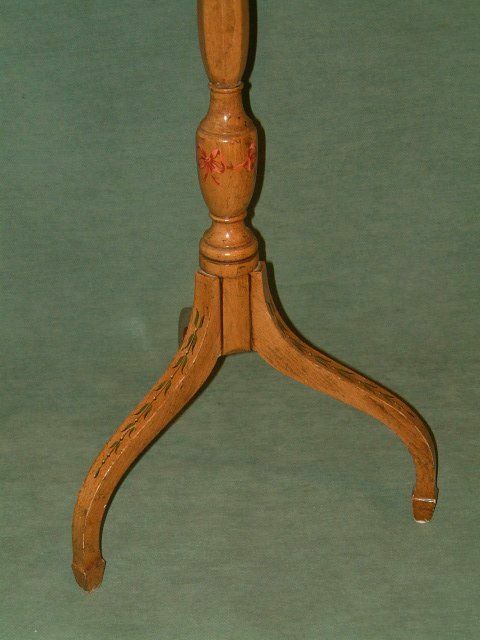 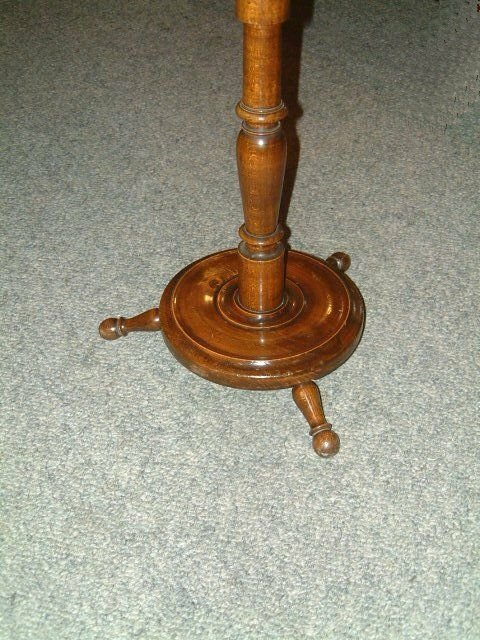 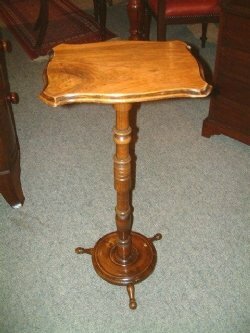 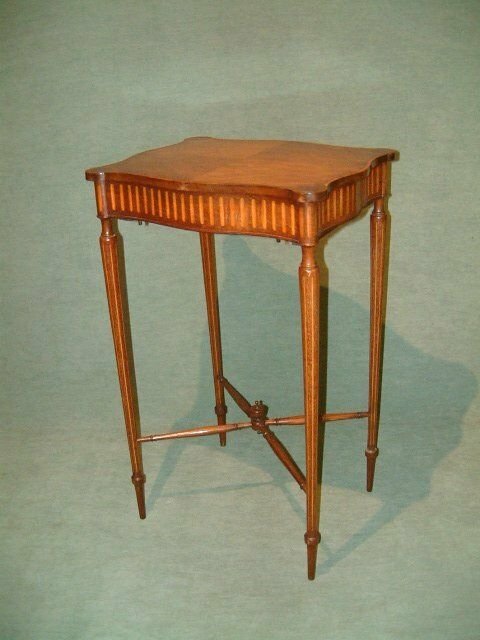 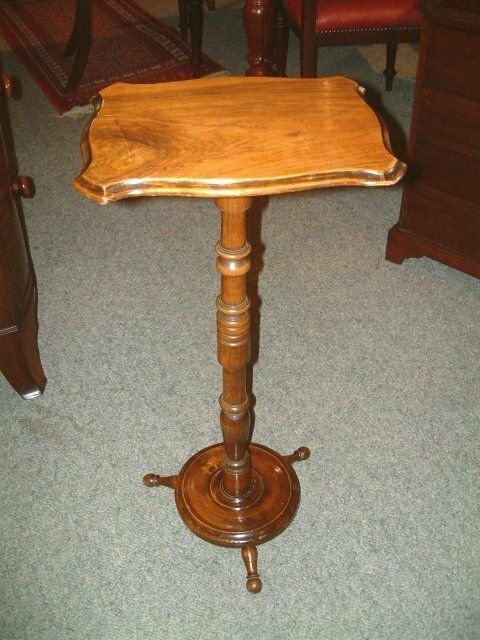 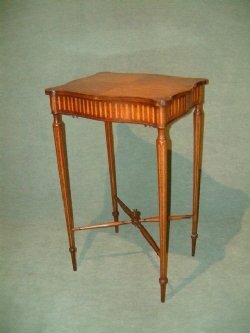 Edwardian Walnut & Beech Occasional Table Charming Small Proportions. 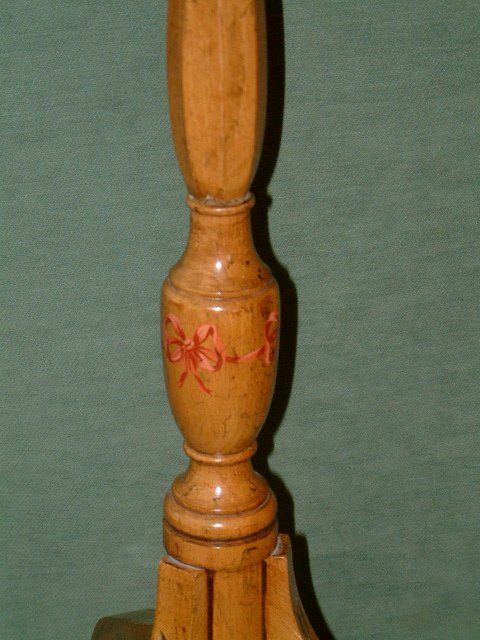 29" High 13.5" x 10.5"